We are the team of youth, working together to uplift the living of women and motivate youth through the means of traveling in the world. Lena Zubareva Founder of Girls Empowered by Travel. She’s been passionate about travel, the non-profit sector and non-formal education for a long time. So why not combine those ? :) She holds a Master Degree in International Relations. Sometimes she writes in her travel blog and creates short travel videos about unusual people, places, and experiences around the world. She’s aspiring to start an adventure travel company as well. She visited Nepal for the first time in 2014 and fell in love with the country and its people. It’s a huge honor and pleasure and fun to work with such an amazing team! 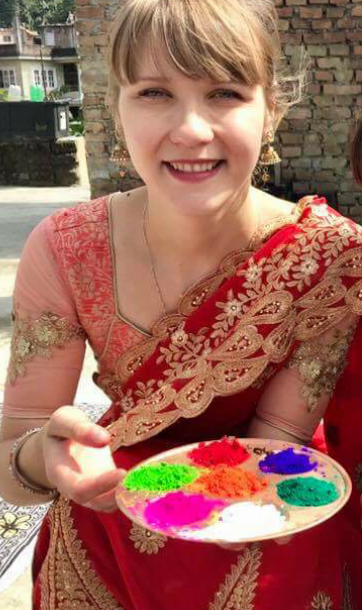 Alicia Mor is the co-founder of Girls Empowered by Travel-Nepal. She's a specialist in Tourism Planning and a feminist activist. 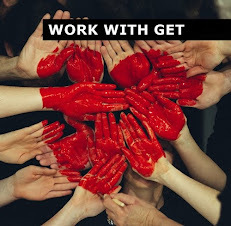 Passionate about travel and women's empowerment, joining GET was a way to bring both things together and make a difference in the world. She has been a great supportive since the very beginning program of GET-Nepal. Sajana Bhadel is a President of Girls Empowered by Travel-Nepal. 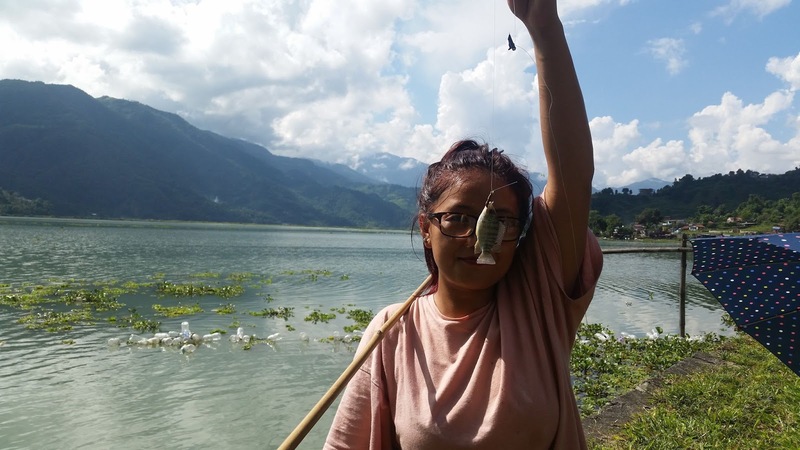 She is working as a Program Associate at the ProposalsforNGOs, a program in partnership between funds for NGOs and Volunteers Initiative Nepal. Expertise and Experience: She has worked as an English teacher for lower Secondary level for five years. She was a former President at Kay Garnay for Nepal, a non-profit agency for two years. 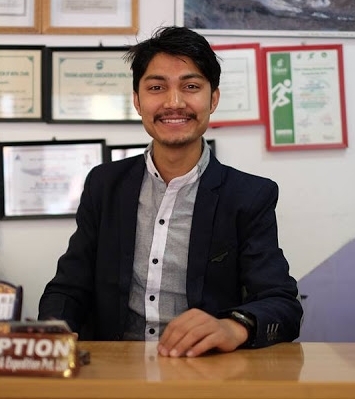 SajanaBhadel, founding President of Girls Empowered by Travel-Nepal, has been working actively with youth especially with young girls to enhance the youth leadership skills and youth motivation. As a professional social worker, she has long been involved in interventions at different phases of program planning, administration, and logistics, monitoring and evaluation as program sustainability processes and community ownership. She holds the Master Degree in Economics. BimalKarki is a Vice-President of GET-Nepal since 2017. He is a manager/tour operator in Apex Himalaya Treks and Expedition PVT.LTD. He has accomplished his undergraduate degree in Business. 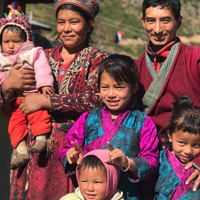 He was actively involved as assistant field manager in Rasuwa Relief (NGO) during the devastating earthquake in 2015. He is a role model among youth to take social initiatives, who always stand against for gender discrimination. Moreover, he always has remained as a great supporter since GET-Nepal conducted the very first program. 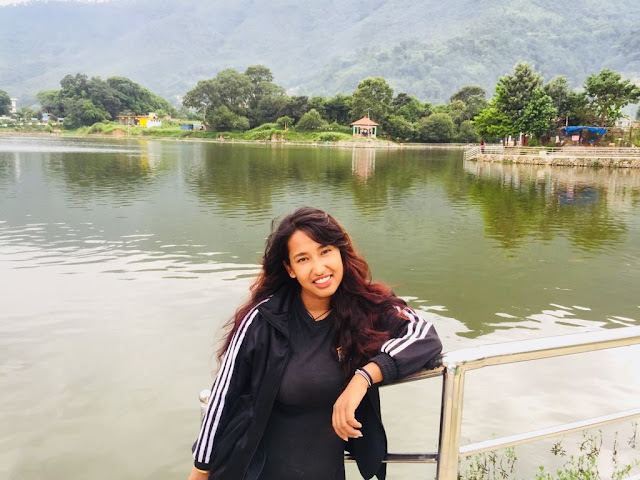 Pabitra Majhi is an enthusiastic and energetic youth activist, who is the Board Secretary and Programmer Officer of Girls Empowered by Travel Nepal. 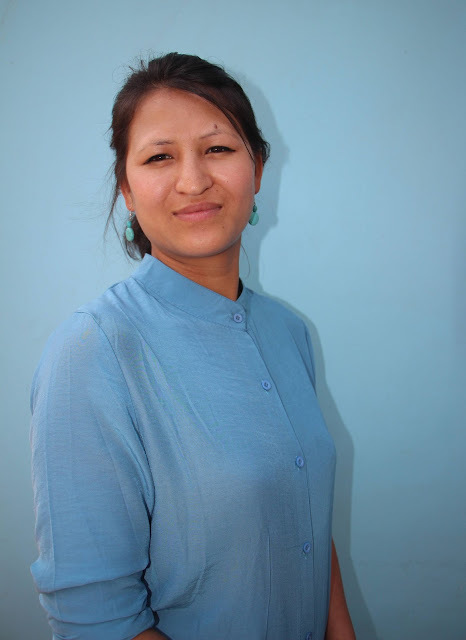 Currently, she has been pursuing her Master's degree in Economics at Patan Multiple Campus. She is very passionate about positive social change and youth empowerment who has been leading a winning project named “Shahasi -The Brave Women” to empower disadvantaged and marginalized women of Sarlahi through basic literacy and capacity building programmer. Moreover, she is also a U. S. Embassy Youth Council Member 2017-2018. She loves photography and dancing. Her ambition is to be a good social entrepreneur and contribute to the economic development of the nation. She is Chunjune Limbu currently living in Nakhipot, Lalitpur. She works for a company that is a movie and music distributor "Highlights Nepal". She was also engaged in other NGO's like OXFAM, ENPHO and also volunteered for many other NGO's and purposes. She is highly determined and focused on empowering the youths, women and anything else that could contribute to the betterment of the nation. 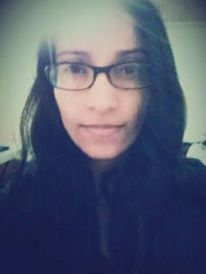 Manisha Dhital, an energetic youth member of the GET, is the native of Dang and studies BSW at Times International College. She says empathy is something she has learned from her father and social work has been part of her life. Her strong determination and commitment towards serving the disadvantages women and children including homeless orphans and special need person, have established her as a board member of GET at nearly 20 years of age. She has clearly displayed her enthusiasm for community support, leadership and learning capabilities being involved in the HITAISHI project organized by GET. Furthermore, she has been supporting Twins Otter Foundation working for orphans and works as a treasurer for PariwartankaPailaharu, an NGO working for social transformations. She loves to spend her leisure time volunteering and supporting various events and programs. Bidhya Bista lives in Kirtipur, Kathmandu and she recently graduated in BSW and running Post Graduate in Psychology in Trichandra College. She has been working as an active social activist for 4 years. She visions to be a professional social worker for the betterment of the society. She loves Traveling and Exploring new places. She is a General member of the Rotract club of Dilibazar. She is also a member at YAN as a youth campaigner and a master trainer at Girls Kick organization. 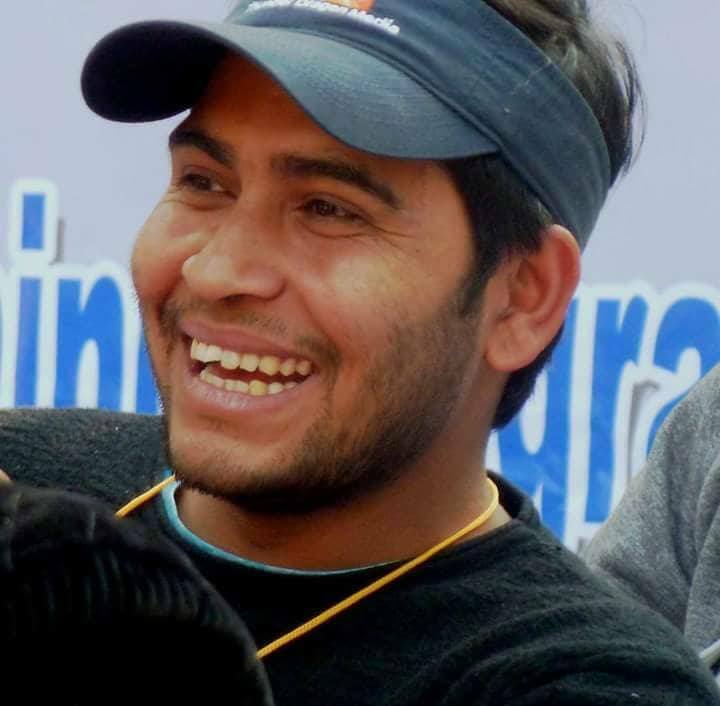 Vishma Raj Thapaliya is a young adventure expertise and the Managing Director of Core Adventure Nepal. He is a Secretary of Nepal Association of Rafting Agency (NARA). He is also the Team-building and Motivational Instructor for different schools and colleges. He recently involves in disaster management team of Nepal Police and Army and also cooperates as the rescuer in Terai Flood 2017. He involves in different social activities through Lion's Club as he is the active member of Lion's Club of Himchuli, Kathmandu. 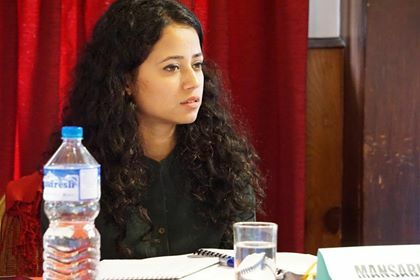 Sonisha Kadel, a board member of GET- Nepal since 2017, originally from Pokhara. She is studying in a bachelor in Social Work from Times International College. She has been actively involved as a volunteer in the Art Exhibition and Call Center. She has experiences of computer course. Moreover, She believes that traveling could be the main factor to empower girls for moving towards the brightness. 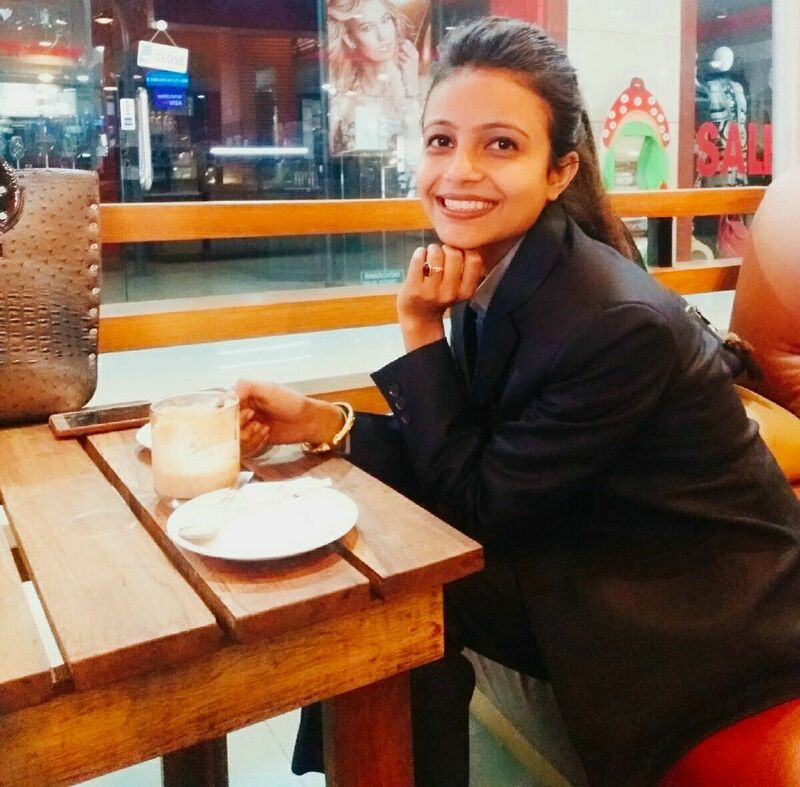 Manasbi Poudel is currently pursuing her masters in economics and is a faculty member of Economics at Ace Institute of Management. She is a freelance Business Research Consultant. She is also one of the leaders of Women Leadership Summit 2018. She is passionate about traveling and believes that travel frees a person and let them explore to a new horizon.